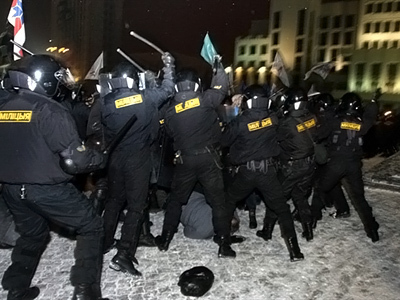 Dozens of people were arrested and many were taken to hospital with injuries as protesters clashed with police in the Belarusian capital Minsk, the night after the presidential election. 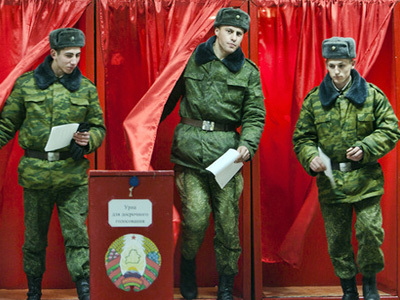 ­While a preliminary ballot count indicates that incumbent president Lukashenko has won by a landslide, receiving almost 80 per cent of votes after a turnout of some seven million, the election was marred by a night of riots that were, however, suppressed by the police and the national security agency. The protest rally, planned by the opposition well ahead of election day, started at about 8pm on Sunday. Various sources gave very different information about the number of participants, but there was said to be up to 20,000 people. At one point, the protesters tried to break into the building of the lower house of parliament, which also serves as an office for the Central Elections Commission. Some windows were broken, but police intervened and forced the protesters from the square. Many people, including some of the opposition candidates, were arrested. Some people, including one presidential candidate and several journalists, both from Belarus and abroad, sustained injuries in the clashes. Police claim that about 30 officers were injured on Sunday night and had to be taken to hospitals. Many members of the opposition were arrested, including several presidential candidates and journalists. In particular, Belarusian security agents detained presidential candidate Andrey Sannikov and several others. Law enforcers raided the office of the opposition website Khartiya-97 and detained several journalists there. Prosecutor General of the republic told the press on Monday morning that those detained might be charged with organizing mass unrest. He did not give any names, but promised to name all suspects on Tuesday morning. The Chairman of the European Parliament and the US embassy in Minsk have issued statements condemning the violence that the law enforcers used against the opposition. Russian politician Leonid Gozman, who witnessed the Sunday night events in Minsk, has prepared a letter to top Russian officials in which he asked them to use their influence on President Lukashenko to make him seek peaceful ways out of the crisis. At the same time, the head of the Executive Committee of the Commonwealth of Independent States, Sergey Lebedev, told reporters on Monday that the police acted within their powers while suppressing the riots. “These actions cannot be seen as anything other than legal. This is my opinion and the opinion of our observers’ mission co-ordinators,” RIA-Novosti news agency quoted Lebedev as saying. Russian President Dmitry Medvedev said on Monday that the election in Belarus was the internal affair of that nation, but expressed hope that the country would continue to develop towards democracy. “Of course, the development of the state and democracy in Belarus is very important for us, but I would like to stress that we should wait for the results of these elections and we here hold as a starting point that the elections must reflect the will of the Belarusian people,” Medvedev said. “I hope that these elections will result in Belarus being a modern state and continue to develop on the path of creating a modern state based on democracy and friendship with its neighbors,” the Russian president said. The Russian embassy in Minsk issued an official comment on the elections, saying that the violence of Belarusian policemen against Russian journalists was not justified. The statement said that the police should distinguish between hooligans and the reporters, who had official accreditation, photo and video cameras and badges. The Organization for Security and Coooperation in Europe said the count in Sunday's vote was "bad or very bad" in half the country's precincts. It also strongly criticized the violent dispersal by riot police of a post-election protest rally. 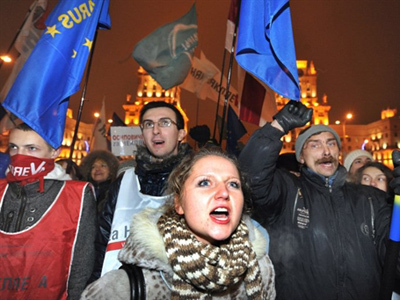 Opposition activist Yaroslav Romanchuk told reporters on Monday morning that no further protests were planned. He gave the number of the detained as about 600 and said that many people were injured in clashes with riot police. 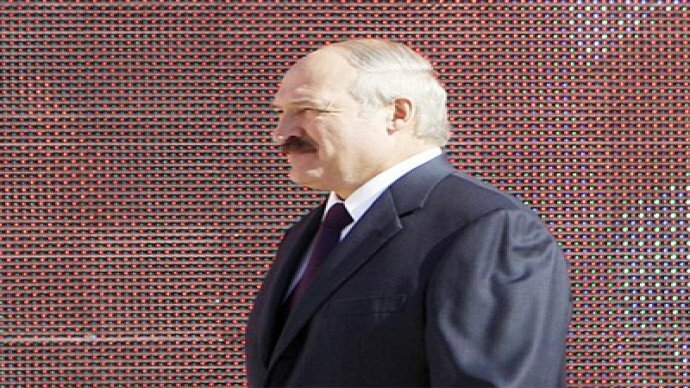 On Monday afternoon, addressing a press conference in the Palace of the Republic in Minsk, Lukashenko announced his victory. “I would like to say to all my allies – thank you. 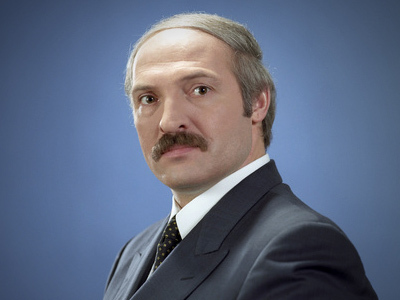 And I would like to say an extremely unpleasant thing to my opponents – you will have to deal with the incumbent president for at least five years,” Lukashenko said. According to the Belarusian constitution, the inauguration of the president-elect must take place before February 19, 2011.